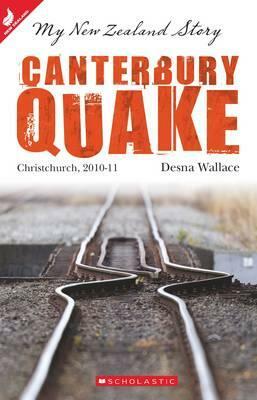 On 22 February 2011, at 12:51 pm (lunchtime), Christchurch was struck by a magnitude 6.3 earthquake. The quake was centred 10km south-east of the city at a depth of 5km. 185 people died, 164 people were seriously injured and there was major, widespread damage. On 22 February 2011, at 12:51 pm, Christchurch was struck by a magnitude 6.3 earthquake. The quake was centred 10km south-east of the city at a depth of 5km. In the ten minutes after it hit, there were 10 aftershocks of magnitude 4 or more. Water pipes, roads, bridges, power lines, cell phone towers and ordinary phone lines were broken or damaged. As had happened after the 4 September 2010 quake, there was a lot of liquefaction. Liquefaction happens when underground water in the soil comes to the surface. Thick muddy slush spreads everywhere, causing buildings and other structures to sink into the ground. Many roads, footpaths, schools and houses were flooded with silt. There was a lot of confusion and panic, especially in the centre of the city. People were desperately trying to contact their friends and families, and to get back home. The phone lines and roads almost immediately became jammed. Right after the earthquake, a lot of people left Christchurch. Small towns in the South Island welcomed many people from Christchurch. School kids were allowed to go to the schools at the places they were staying. Many people left for only a short while, but others chose to leave for good. 185 people died and many thousands were injured as a result of the earthquake. 164 people were seriously injured. Most of the victims were killed in two large building collapses: 115 people died when the six-storey Canterbury Television (CTV) building in Madras Street collapsed, and 18 people died when the 4-storey Pyne Gould Corporation (PGC) building in Cambridge Terrace collapsed. Rescue crews worked around the clock at both locations to dig out trapped people. 169 people died in the Central City and 16 people died in other parts of Christchurch. Rescue crews from all over the world came to help. There were crews from Japan, the United States, the United Kingdom, Taiwan, Australia and other countries. The earthquake had a magnitude of 6.3 on the Richter scale. It was felt all over the South Island and in the lower part of the North Island. The fault that caused the quake cannot be seen from the surface, but it runs about 6 km south of the city centre. Land around the fault, in the Port Hills, in Cashmere and in the seaside suburbs, rose, fell and slid. Even though the February 2011 earthquake was smaller in magnitude than the September 2010 earthquake, its impact was much greater. The September earthquake happened at night, when most people were at home asleep. This meant that even though some large buildings collapsed, few people were nearby them when they were damaged. The February earthquake was also much more disastrous because there was a very high ‘ground acceleration’. Ground acceleration measures how much and how fast the ground (and things on it like buildings and natural features) moves during an earthquake. Some of the reasons why ground acceleration was so high in the February earthquake were the large amount of energy that the fault line released, the way the land under Christchurch was formed and how near Christchurch was to the fault. Also, the February earthquake was much shallower (closer to the surface) than the September one and it was closer to the city. Many stone and brick buildings in Christchurch were damaged. Up to 100,000 buildings were damaged and about 10,000 buildings needed to be demolished. Christchurch was divided into four zones after the earthquake. The land in the Green Zone was undamaged and could be built on again. In the Orange Zone more checks were needed before the land could be be built on. The White Zone was the area that had not been checked at all yet. The land in some parts of the city was very unstable: building on it safely will be difficult. These areas are called the Red Zone. The water and sewage pipes were badly damaged. Many people needed to use portable or chemical toilets, and got their water from tankers for months after the quake. Groups of people came from all over New Zealand to help people who were affected by the earthquake. The Farmy Army was made up of 800 farmers who brought their farm machines and muscle to help clean up the city. The UCSA Student Volunteer Army was a group of 10,000 university students and others who worked over a period of months to help clean up liquefaction. The Rangiora Earthquake Express was a a service manned by 1000 volunteers that helicoptered and drove in 45 tonnes of food and other supplies to the badly affected eastern parts of Christchurch. 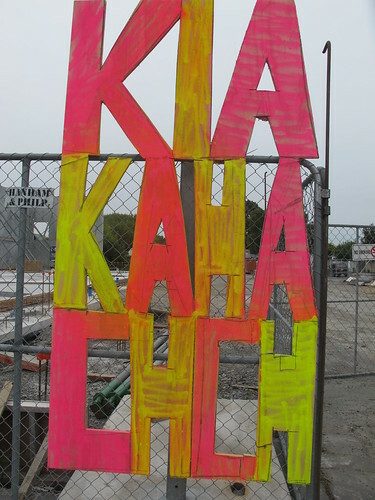 Kete Christchurch: Canterbury earthquakes 2010 2011 contains primary sources such as photographs, experiences, and audio.